This is your chance to ask all the questions you’ve been wondering about! 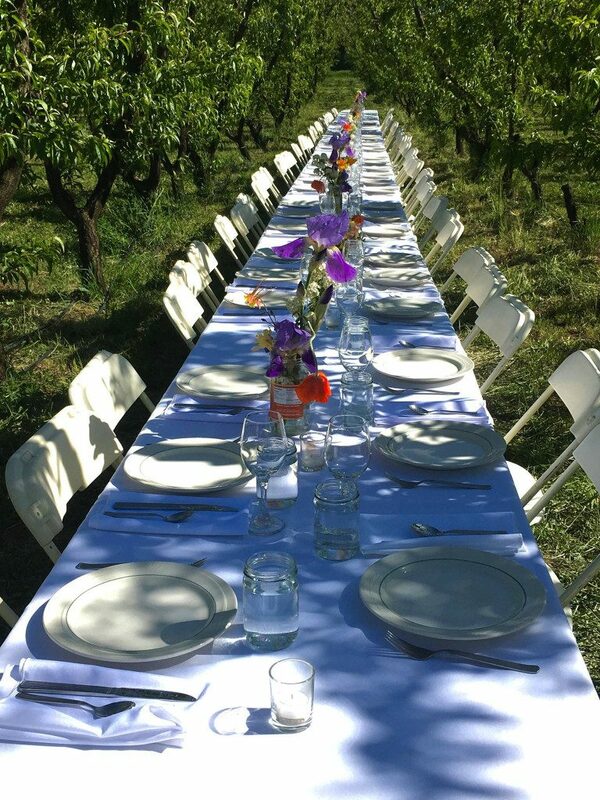 It’s the Annual Ela Farm Tour & Orchard Feasting! Rolling out the red carpet, our customers & friends get the grand tour. Come ask questions and explore! This year we are timing the tour along with spring growth and the start of summer weather! Starting the tour at 10 a.m. we walk, talk, demo, and look at all aspects of our farm. As long as Mother Nature is kind to us this spring frost season, newly growing apples and peaches. The tour ranges from how we pack and cool the fruit, to our commercial kitchen, to how we grow our fruit. We’ll look at how we graft trees, run a wind machine and look at our newest trees. The best part of the tour? It’s free! While all the farm, creamery, winery, and distillery tours are free, we do charge for our catered meals (Saturday evening dinner, campers’ Sunday morning Coffee Station, and the after-tour buffet lunch on Sunday. The Forage Sisters are preparing locally-sourced and organic meals. 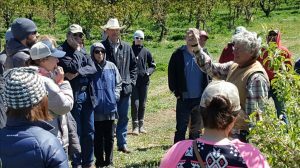 Click here to read more about the Annual Farm Tour.